Vancouver has been named the city with the world’s best reputation. The result is from Reputation Institute’s 2012 City RepTrak.The yearly study ranks the world’s 100 most reputable cities by polling more than 18,000 people from the G8 countries. Vancouver now joins its home, Canada, in the winner’s circle. Canada was named the world’s most reputable country in the 2012 Country RepTrak ranking released just three weeks ago. RepTrak destination studies dive deep into the emotional bond between stakeholders and destinations by quantifying the degree to which people Trust, Admire, Respect and have an Affinity for a city or country. Underlining a destination’s RepTrak score are three dimensions that influence the perceptions of a destination. These dimensions: Advanced Economy, Appealing Environment and Effective Administration, are what drive a destination’s reputation and stakeholder support. In the City RepTrak study, these three dimensions are further defined by 13 reputation attributes that participants in the study are asked to evaluate. These include the destinations’ perceived: beauty; safety; cultural offerings; infrastructure; business environment; schools and more. “We live in a reputation economy. While the idea of a destination’s reputation may not be on the top of everyone’s mind when they decide where to live, work, vacation, or do business, our studies indicate that it should. We have found that a person’s perceived reputation of a city is a key factor when deciding where to visit, or in terms of business, to invest. Our modeling demonstrates that effective management of these reputation drivers translates directly into increased tourism receipts, investment, and stakeholder support,” says Nicolas Georges Trad, Executive Partner of Reputation Institute. Vancouver and Sydney were the only cities to finish in the top 10 in all three of the aforementioned, reputation dimensions. Vancouver scored highest in administration and was recommended by poll participants as also the best place to live and work. The host of the 2010 Winter Olympics focuses many resources on creating a welcoming environment and promoting its multicultural heritage. “At Tourism Vancouver, we have a role as a brand steward for our city, helping to court and share positive and responsible media comments, ensuring that our visitor infrastructure is safe and welcoming to everyone, and by inviting the world to come and spend some time with us. We believe that a factor in Vancouver’s stature is our reputation as a city where all nationalities gather comfortably, where over 40 first languages are spoken in the average school, where perhaps 50% of our population has English as a second language and in our having a deep-seated respect for varied religious views. Ongoing immigration continues to provide us with an array of benefits: be they wonderful foods; inspired cooking, festivals, music and fashion. In Vancouver, we tend to share ideas, to learn from one another and to celebrate our differences,” commented Rick Antonson, President and CEO of Tourism Vancouver. 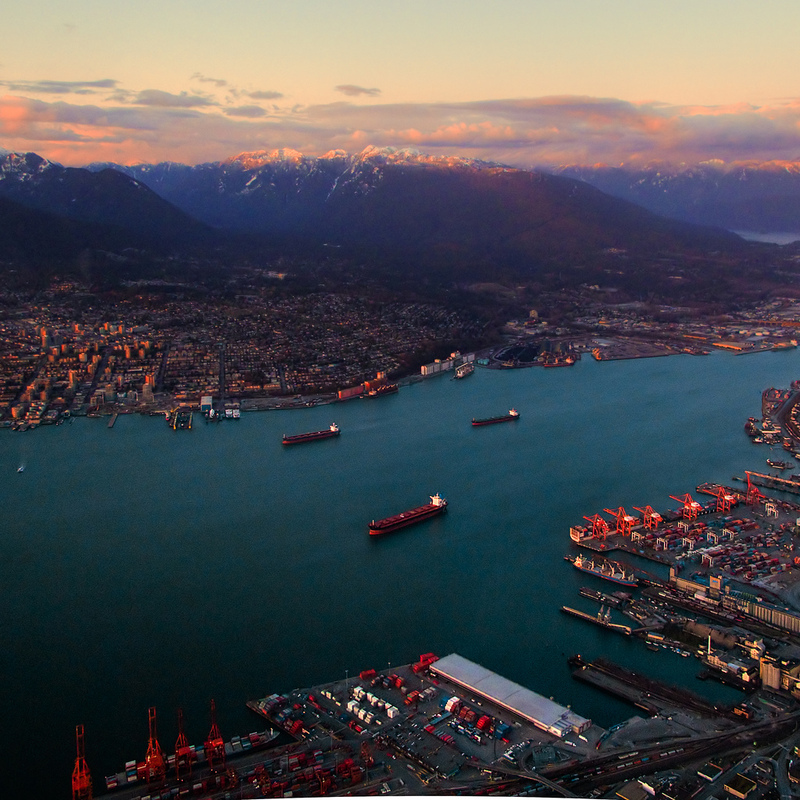 Although Vancouver was not voted the most beautiful city in the world, it did place number seven in the category behind old world and architecturally revered Venice, Florence, Rome, Paris, Vienna and Barcelona. When tallying a reputation score, the 13 reputation attributes are weighted in order of importance in determining a city’s overall reputation. The most important reputation attributes were found to be: beautiful city; safe environment; wide range of appealing experiences, including food, sport, architecture, and entertainment; well-respected leaders and progressive social, economic, and environmental policies. It is no wonder then that small to medium sized, safe, environmentally friendly and sporty cities like Vancouver, Vienna, Sydney and Copenhagen top the list while the mega cities that never sleep, such as Hong Kong, London, New York and Tokyo are lower down in ranking. “The world’s largest cities certainly face more challenges when it comes to managing their reputations. They have many more factors that can impact their reputation and many of these influencers cannot be controlled. Additionally, big cities tend to operate much more under the microscope of the media. The conversation surrounding a destination – be it in the news and/or social media — is often a major influence on public perception. We can see in this year’s results just how effective Vancouver has been in shaping a constructive and trustworthy dialogue with the media,” says Reputation Institute’s Nicolas Georges Trad. While global mega-cities like New York and Hong Kong may still rank amongst the most visited in the world, to maintain and increase their tourism and investment share, the RepTrak demonstrates that they will need to focus more on improving these key attributes. “Destinations that identify and devote proper resources to building a strong reputation attract more tourists, more business investment and when the price is right, sell more products. We can see what happens when for example, a destination neglects these reputation attributes and the opposite effect occurs, as with the USA’s drop in tourism numbers. Destinations, like businesses, need to pay attention to their reputation,” says Kasper Nielsen, Executive Partner of Reputation Institute.